The iOS app universe is forever expanding but it’s hard to keep up with. New apps come out every day, although not all of them are attention worthy. For this reason we’re relentlessly browsing the App Store, searching for the newest, most exciting and practical apps. 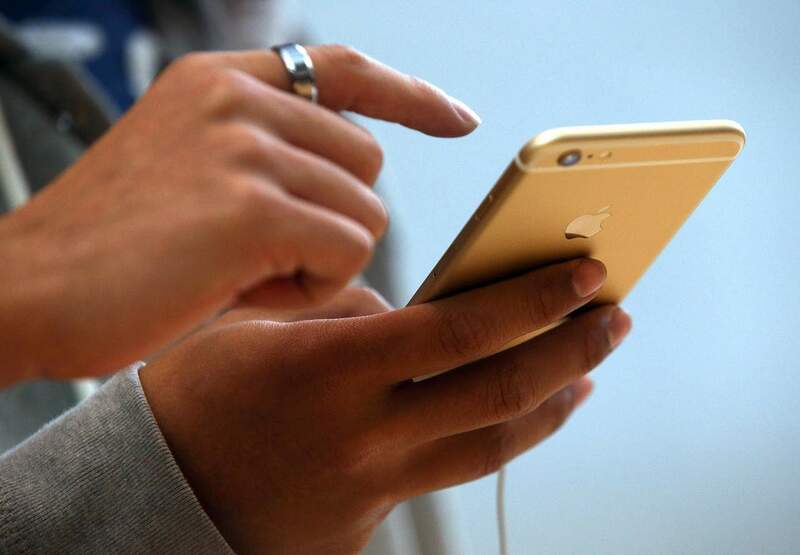 Here are some of our favorite iOS apps that have been launched recently. 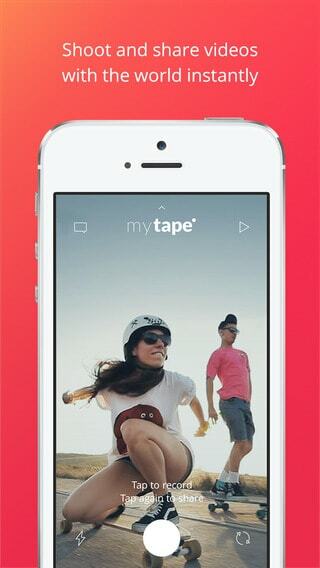 MyTape is a social video app designed to make video recording and sharing a breeze. As soon as you open you it, you can tap the white button to start recording and once more to share it with your friends. It stores your videos in the cloud for free and with no limitation, plus if you don’t have an Internet connection available when you shoot the video the app will save it and share it automatically when you get back online. No registration is required, but doing so will allow you to follow friends and create backups for your videos. Sharing options currently include Facebook, Twitter, WhatsApp, Messenger, text and email. When it comes to group decision making there are plenty of chat apps that allow multiple users talk within the same window. Nevertheless, Begroupd is a messaging app that brings some new features to the table designed to make organizing plans with groups of people like friends and family much easier. Compared to walking for hours through mall stores, online shopping seems effortless, but with so many retailers offering their merchandise online it can be a pain to find exactly what you want and ideally at the best price. We’ve got you covered in the clothing department. Donde is a new fashion app that lets you search through items from 6,000 brands and retailers using a variety of filters like event, the clothing type, pattern, length, color and price. The whole searching process relies on images and you can buy stuff directly within the app. Alternatively you can add finds to your wish list, setup sale alerts for products you’re interested in, and ask for a friend’s opinion on specific items. You know how Doctor Who’s Tardis “magically” translates what the doctor and his companions are saying when they’re venturing to strange worlds talking to aliens so there’s a logical reason for the show to use English and not a bunch of Dalek dialects? Microsoft Translator won’t do that but it sure can come in handy while you’re traveling to other countries. 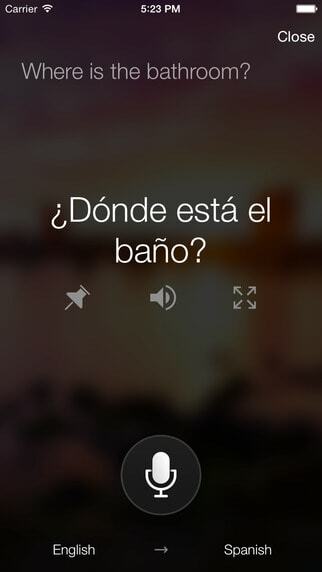 The app can translate voice and text in over 50 languages, and it can also speak the translated word or phrase for you. Among other useful features you’ll find the ability to bookmark translations for later use, a ‘recent translations’ list and support for Apple Watch. Now you can finally throw away that pocket dictionary. 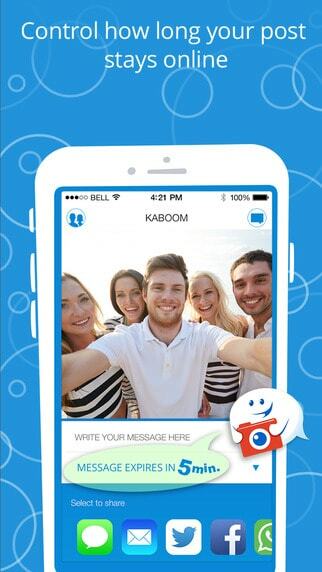 Kaboom takes the Snapchat out of Snapchat and spreads it across other popular social networks. The app lets you send Snapchat-like disappearing messages via SMS, Email, Direct Linking, Facebook, Twitter and WhatsApp. 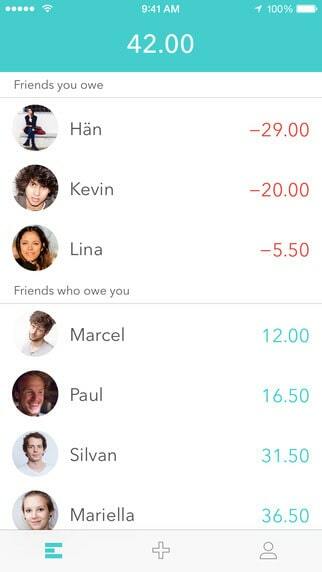 User can create messages and set their expiration dates within the app, and share it any of the supported networks and services. The beauty of Kaboom is it’s not practically a messaging app, so you’re the only one that needs to have it installed in order to work. 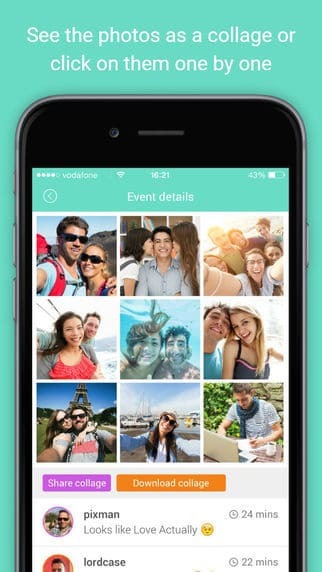 PixCall is a unique photo messaging app that lets you create photo events and invite your friends to participate. When the countdown ends, the cameras of those who joined the event will take a picture at the exact same moment. After that, you’ll be able to see those photos separately or as a collage, with the options to download and share on your social networks. You can invite your friends to PixCall events via iMessage even if they don’t have PixCall yet – although they’ll have to install it later to join the invitation. Besides creating events for special occasions like Christmas, the New Year or someone’s birthday, I see this app presenting some interesting opportunities for challenges. InboxVudu is an AI-powered assistant app that promises to help you deal with your email, currently supporting Gmail and Google apps. The app is constantly monitoring incoming and outgoing mails and uses that information to prioritize emails requiring action like requests and setting up meetings. What’s particularly interesting is the app’s learning ability, as it promises to get better once it learns your usage patterns. 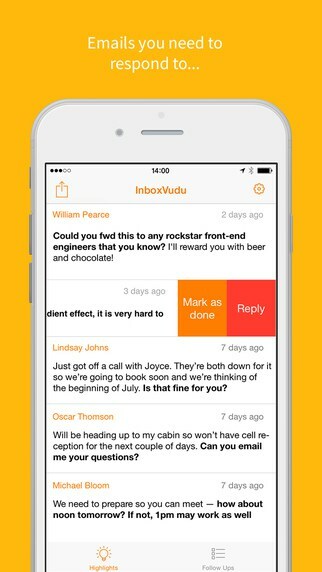 It’s not just about highlighting emails you need to act on, InboxVudu also remembers to check for follow-ups like requests you sent but are not solved yet, unanswered questions and so on. Also, you should know the app was designed for the Apple Watch from the ground up, so it’s a solid choice if you’ve been searching for a personal assistant app that works flawlessly on your wrist. While InboxVudu can be a life saver for sales teams and businessmen that have to deal with 100+ emails a day, it certainly has enough mojo for personal use, especially if you have a large circle of friends you’re trying to keep up with. 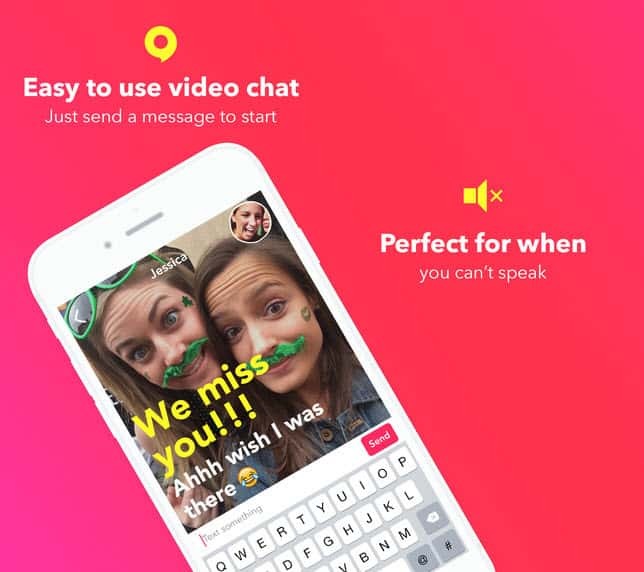 Again with the video chat apps…right? I promise you this one is more on the ‘useful’ side tough. Yahoo Livetext offers no-sound video chat, for those times when you want to see the other person but aren’t able to speak. 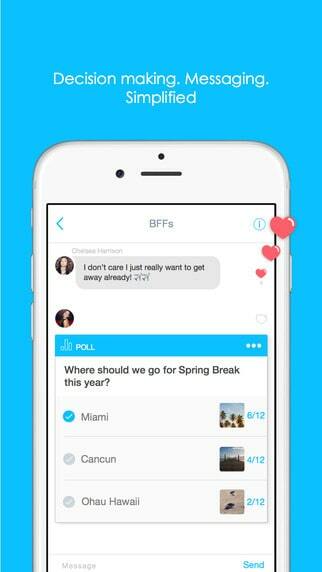 However, there’s no group chat support, the app was made for private conversations only. You can simply write text to communicate, but for those moments when you can speak and the other person still can’t turn on the sound there’s a ‘dictation’ feature (voice-to-text) that I find very useful. Yahoo has a brilliant idea with this app and if they continue to improve it, I see it becoming very popular. 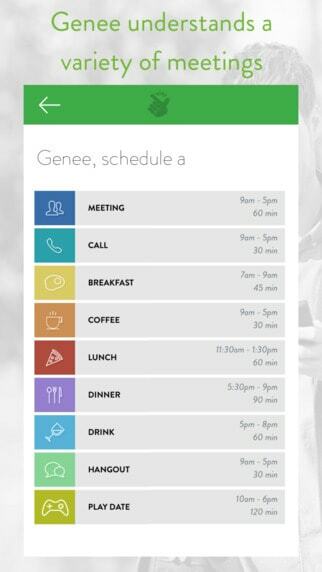 Genee is a virtual assistant focused on your agenda, supporting Google, iCloud and exchange calendars. Think of the app as your personal secretary as it can automate the entire process of scheduling meetings, choosing the best times depending on when your contacts are free, add them to everyone’s calendars and rescheduling when it’s the case. Besides following your specific instructions to schedule meetings, Geenee also offers a in-app callendar view for upcoming meetings where you can also see who’s going to attend them and who isn’t. Equal is an easy to use expense splitter – it only has a few features, but those work well and come in handy when you attend group events where you have to split the bill. Making such calculations is simple enough for two people, but when you go out with a larger crowd things usually get more complicated. Just add all the details in Equal and the app will sort things out. Have you found a favorite in today’s roundup? Let us know which one and why you love it. Share this article with your friends if you liked it and visit our Roundups section for more carefully handpicked apps, games and everything else mobile. And don’t forget to follow us on Facebook,Twitter,Pinterest, Flipboard and Google+ to receive our latest mobile how tos, and apps & games reviews for Android, iOS and Windows Phone !